One of New Zealand’s great engineering feats was the construction of a railway tunnel beneath the Southern Alps, providing a route to the West Coast that was an alternative to the Arthur’s Pass road. 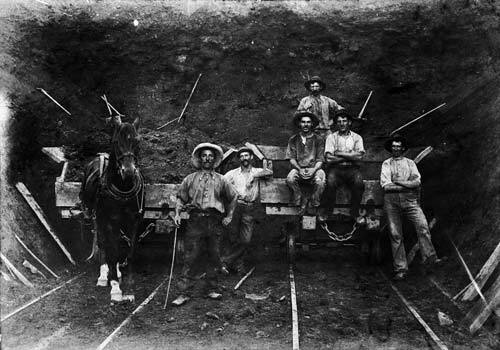 These men were starting work on the tunnel in 1908. Breakthrough was not achieved until 1918, and the tunnel did not open until 1923.